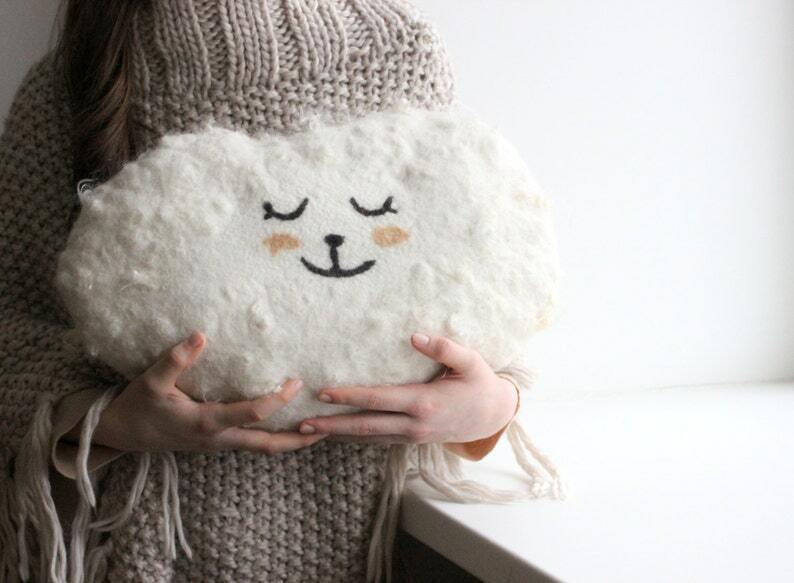 This is a handmade decorative pillow from natural soft wool. It is a great gift for your loved ones. 17.5" x 11.8" (45cm x 29cm). I make this pillow to order. One item is ready to ship. If you need, I can make the pillow in other colors. Decorative throw wool pillow,pillow for kids. Sofa cushion, seats window pillow. Couch pillow. Brides hair accessorie. Felt flower from natural white wool. Felted wool cushion from beige merino wool. Hygge home decor. Hausewarming gift. Very nice! Great home for my bbflockling Crickets. Thank you! Cat tree, cat house, cat bed cave from natural wool. Wool pet furniture. Gift for pet lovers. Cat mat from natural wool. Felt cat slepping place. Dark brown and white wool cat bed.